The SGX Bull Charge Stock Challenge has finally ended and we have a grand winner! 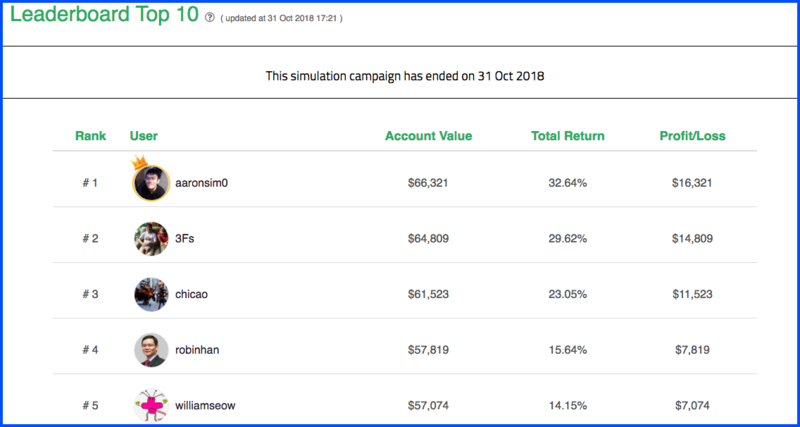 He is none other than @aaronsim0, with a grand total portfolio return of 32.6% as of 31st Oct since 16th Aug 2018. Congratulations Aaron! Aaron will be walking away with a prize trophy and $10,000 will be donated to charity on behalf of Aaron by SGX, at the annual SGX Bull Charge Charity Run 2018 on 30th November. Special thanks to all participants who’ve participated in this challenge! The Grand Winner Of Our #FINDTHESTOCK Challenge! Congratulations to our Grand Winner of our #FINDTHESTOCK challenge held last month, in collaboration with PhillipCapital! 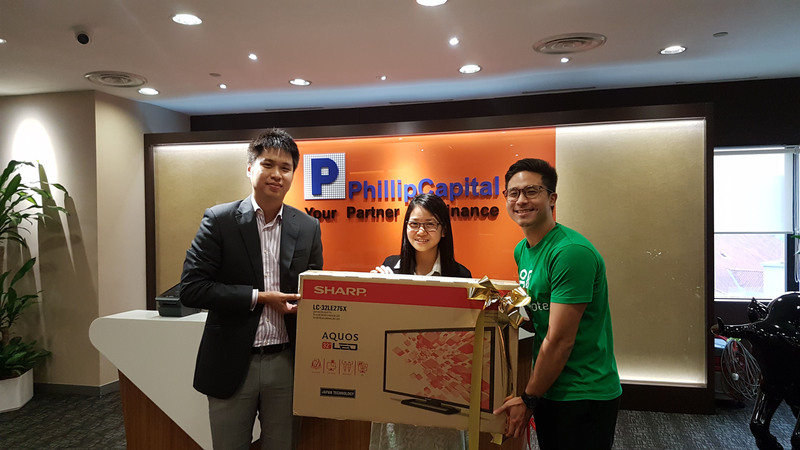 She’s the real lucky one to be chosen of hundreds of participants to be walking away with a 32″ Sharp LED TV, presented by the Marketing and Business Director of InvestingNote, Ethan! A special thanks to everyone who participated in our campaign. We’d have more campaigns to come so stay tuned! Check out our upcoming Free Seminar here.